This was written by admin. Posted on Friday, January 16, 2009, at 1:52 pm. 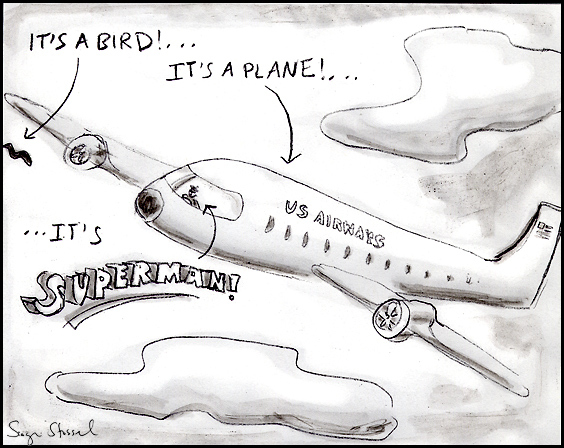 Filed under air travel, bird strike, cartoon, hudson river, pilot, sullenberger, us airways. Bookmark the permalink. Follow comments here with the RSS feed. Post a comment or leave a trackback.